Turning on your faucet may be easy, but the process of getting you that water is anything but. Water has a long journey to get to your tap, often starting in the mountains, traveling through aqueducts, and stopping over in reservoirs along the way. The reservoirs that hold our water can sometimes take on a life of their own, supporting whole ecosystems of animals and plants. 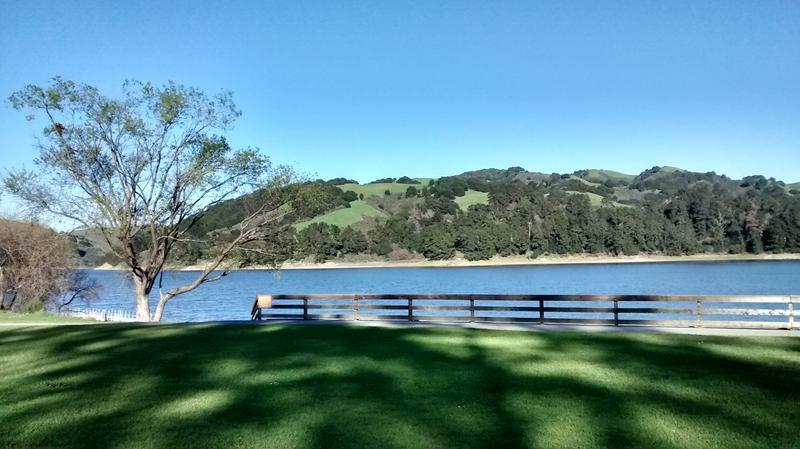 San Pablo Reservoir is idyllic. 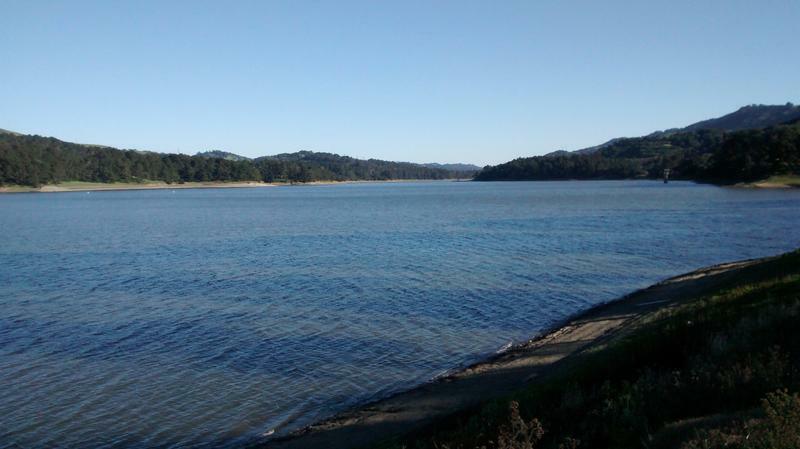 "It's utterly stunning here at San Pablo,” says East Bay Municipal Utility District Spokesperson (EBMUD), Abby Figueroa. “It's one of the gems in our system, we like to say here in the East Bay"
The system Figueroa is talking about is a complex network of infrastructure that brings water to about 1.3 million people in the East Bay. Along the way, the water will spend some time in a reservoir. A reservoir "can either be a place where we have dammed off one side of it, say a canyon, which is naturally where you store water. Or it can be a steel tank up in the hillsides," Figueroa says. 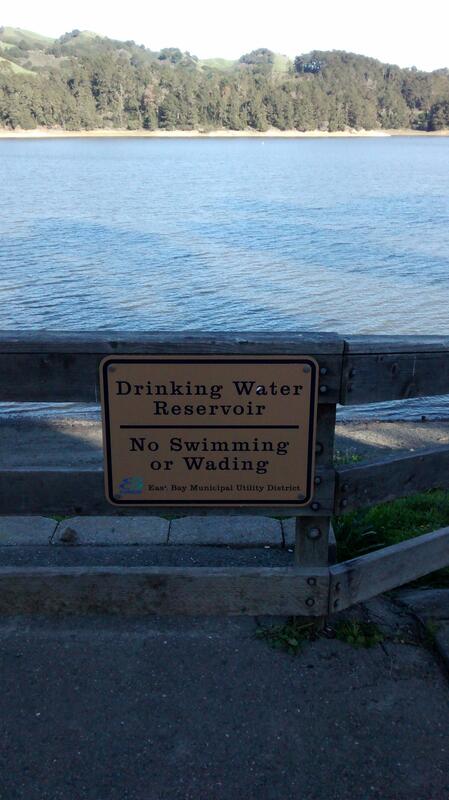 San Pablo is one of those naturally occurring reservoirs, meaning there was already water there when EBMUD took it over. Figueroa says that the water at San Pablo comes from one of two places. One is local creeks. After the ground becomes saturated the water runs down the hillsides and into the reservoir. Or the water comes through a 90-mile system of aqueducts from the Sierras. Those aqueducts are huge, six and seven feet in diameter pipes. At capacity, San Pablo Reservoir holds about five percent of the EBMUD's total system storage, says Figueroa. At capacity, that's enough water to serve about 120,000 households a year. But the system is nowhere near that level. Currently, San Pablo is 62% full because of the drought. The drought not only affects humans, but animals and plants. San Pablo supports an ecosystem where there's a large supply of ducks that leave their droppings. But the water will be treated and safe by the time it reaches your tap, says Figueroa. 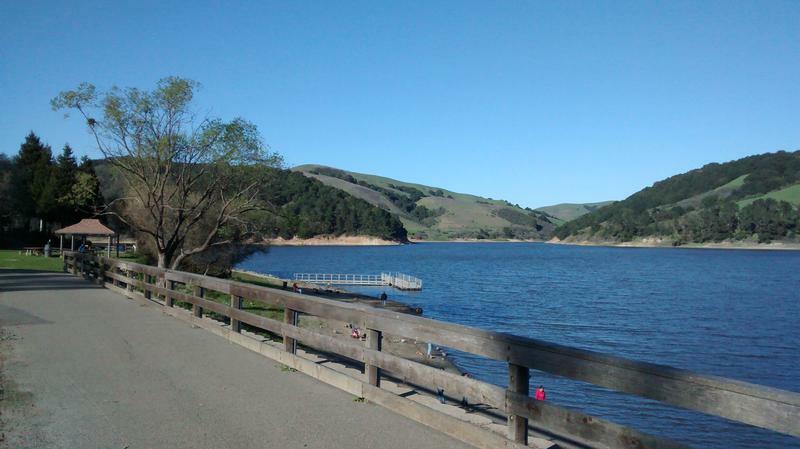 The public can take advantage of the picnicking, trails, boating, and fishing at San Pablo Reservoir. Figueroa says that can be a really good thing: "We actually do like when folks come out here because the more you appreciate this area, the more likely you are to appreciate where your water comes from." This story originally stated that San Pablo Reservoir is at 55% capacity. EBMUD's reservoirs overall are at 55% capacity, while San Pablo is at 62% (at time of broadcast). The text above has been changed to reflect that. The audio still says 55%.